The East Brighton Archives exists in both physical and digital form. The physical archive contains donations of books, maps, photographs, magazines and – our star – a hand-written copy of the Brighton Parish Registers from the eighteenth and nineteenth centuries. Since 2003, the digital archive has built into a substantial collection of stories and historical photographs. Some of these photographs, which have been scanned as 300-dpi JPEGs onto the EBB’s own laptop (and backed up onto DVD), are personal, family photographs and some are of more general, local interest. They are often inter-connected. There is also a growing library of audio files – taped interviews with our members which will be published both as chapters of a book on East Brighton (to be published in 2007), but also each of the chapters will be printed as a small booklet with an audio CD. Some of the material will also be published on the EBB website. 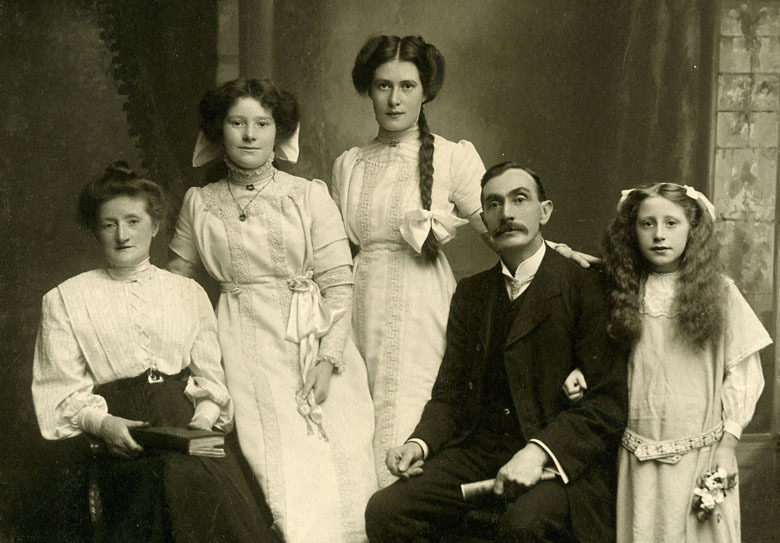 We also have a number of our members’ Family Trees – 13 at the last count – many going back to the seventeenth century, and many with a huge number of supporting photographs and documents. Since we took out our subscription to ancestry.co.uk and since Marion Devoy has joined us (offering help and advice at the shop on the last Wednesday of the month), we have seen the number of family history searches increase and we fully expect this trend to continue. One of our members now has over 300 people on her tree. In the future we hope to translate all this information into a Family History Image Database. We are currently building our website using software from CommunitySites.